Bring the flavors of the Southwest to your dinner plate with this killer recipe from #anovafoodnerd Adam McKenzie. 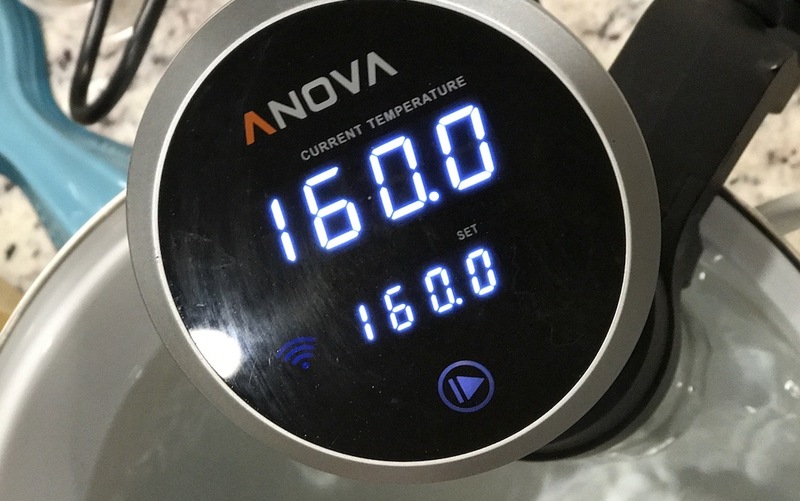 He wraps up chorizo, green chiles, and cheese and then cooks the whole thing to a perfect doneness with his Anova Sous Vide Precision Cooker. Butterfly chicken breasts, if necessary, to create mostly-even thickness. 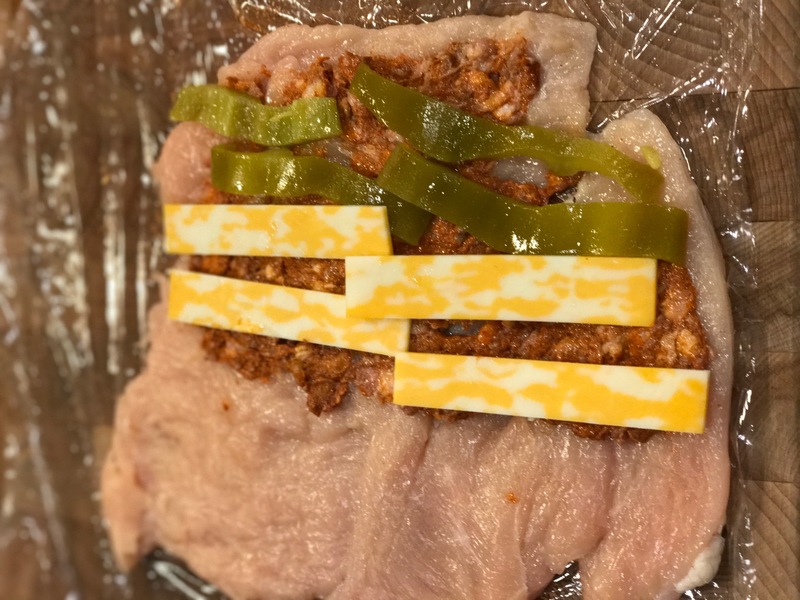 Using two sheets of plastic wrap, sandwich chicken breasts individually and pound with a mallet, rolling pin or heavy pot to flatten to even thickness of ¼ inch. Set aside and repeat with the second breast. Assemble the roulade: Lay out new piece of plastic wrap on clean cutting board. Sprinkle plastic wrap liberally with seasoning. 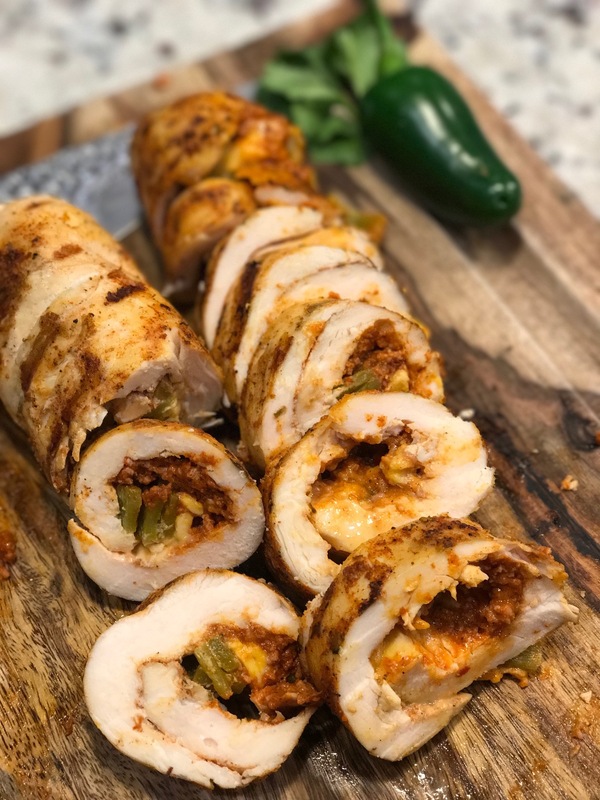 Place chicken atop seasoning, and spread ½ of the chorizo evenly over ½ of the chicken breast. Mound ½ of shredded cheese and green chiles on top of chorizo. Sprinkle with a small amount of additional seasoning. Roll the chicken breast sushi-roll style to create tight roulade with fillings in the middle. 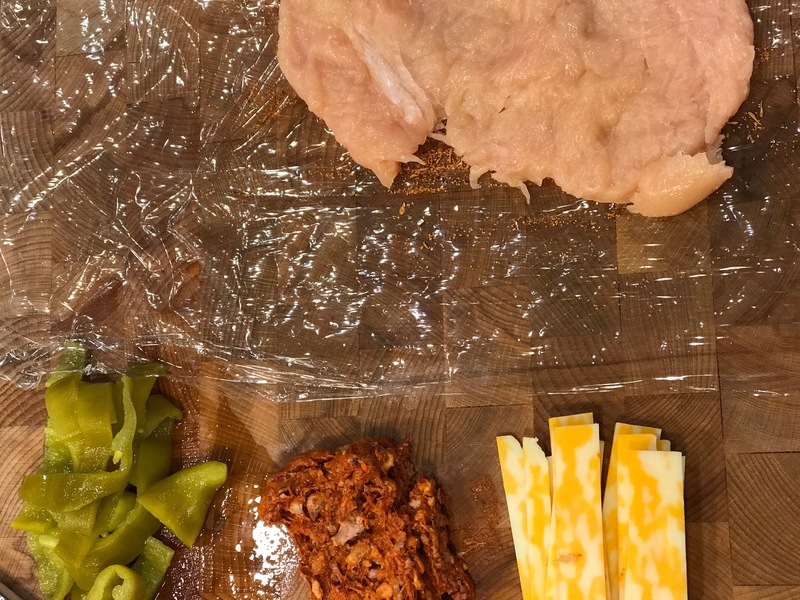 Bring plastic wrap tightly up around rolled chicken breast, being sure to overlap the edges. Press out any air trapped in the plastic wrap and twist ends tightly to seal. Tie up plastic wrap ends around roulade and secure with a knot. 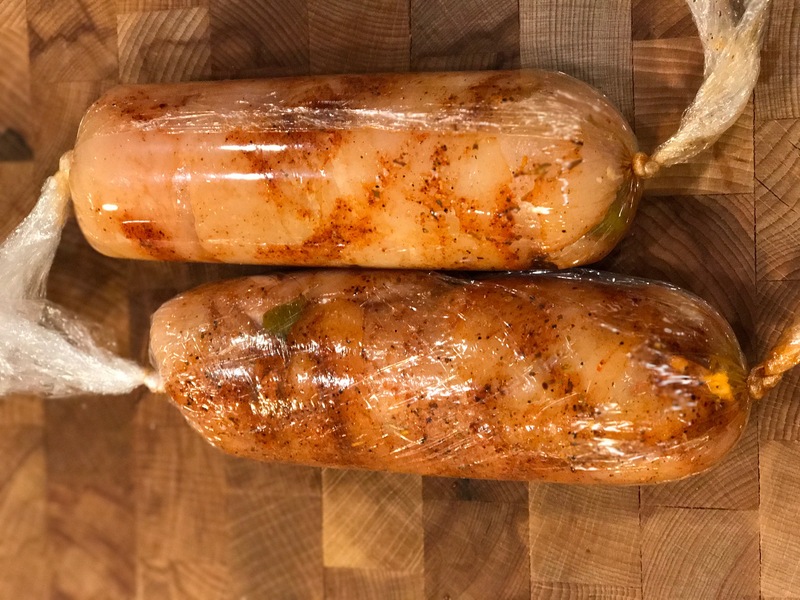 Place completed, uncooked roulades in a ziplock or vacuum bag, and refrigerate overnight for best flavor. You can also proceed to cooking now! 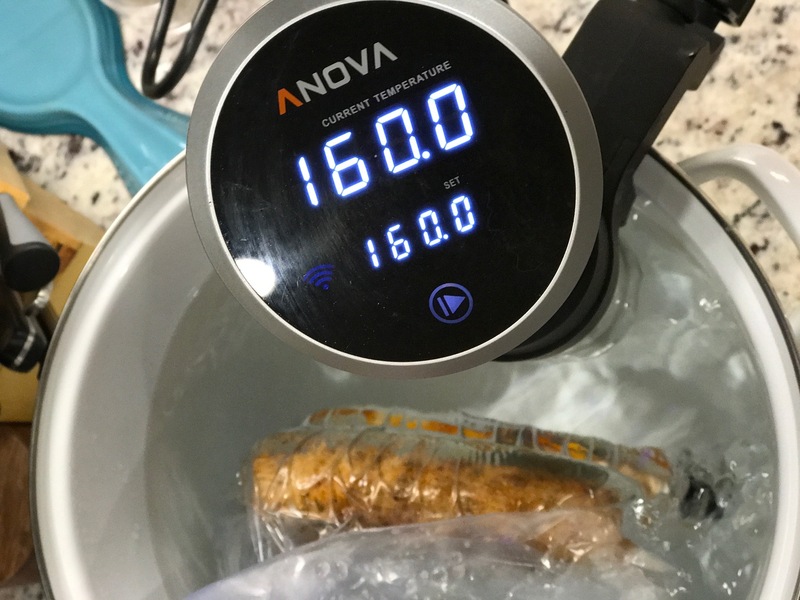 Place chicken in the water bath and sous vide for 90 minutes. 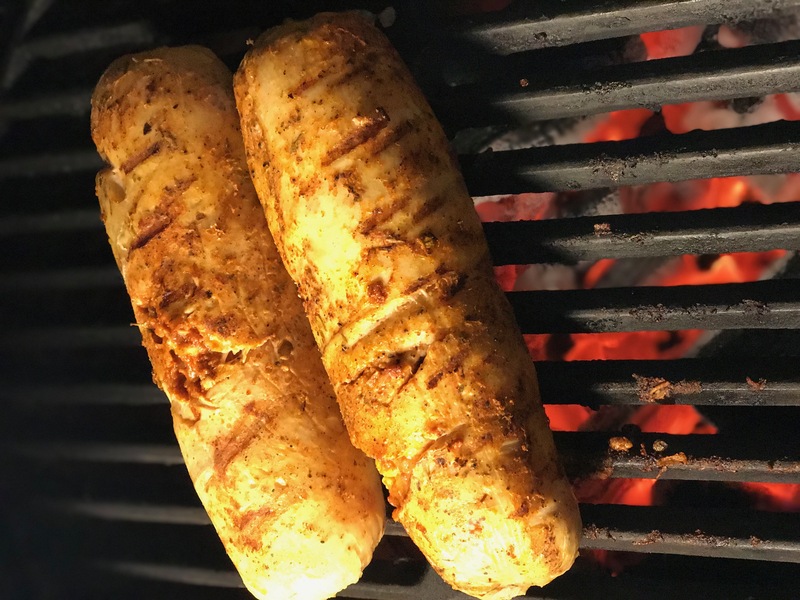 As the timer is nearing completion, heat a charcoal or gas grill. You can also sear indoors in a hot pan. When the time is complete, carefully remove bag from water and remove plastic-wrapped roulades from bag. Using scissors, remove plastic wrap. Lightly spray grill grate with nonstick cooking spray. Place cooked roulades seam-side down on grill grate, and cook until browned, rotating to ensure even coloring. Rest briefly on a cutting board and cut at an angle with a sharp knife.